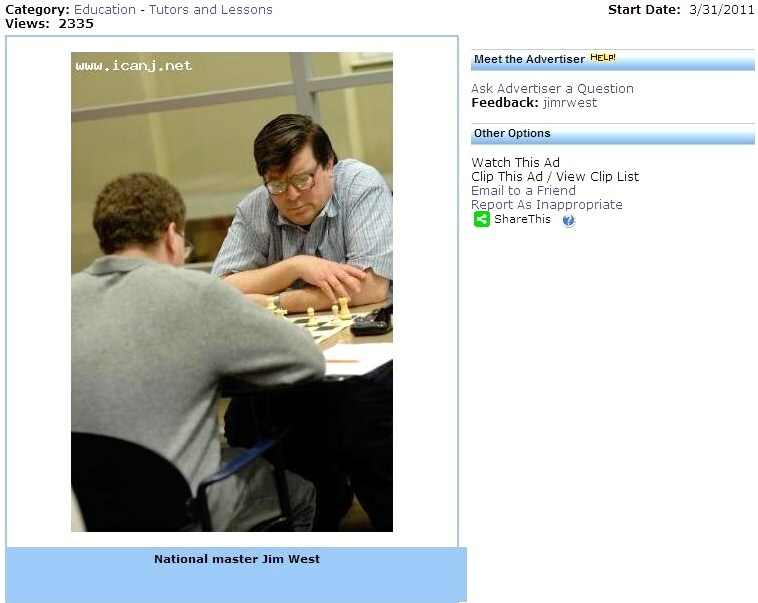 Watch the video of my introductory chess class, from May 25th, for Columbia Academy at eprof.com. 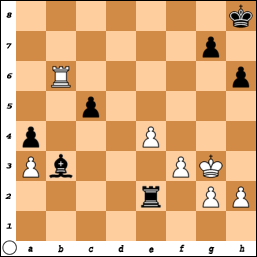 31.Kf1 c5 32.bxc5 Rc8 33.Re1 Rxc5 34.Rxe4 a5 35.Ke2 a4 36.Kd3 Rd5+ 37.Rd4 Rf5 38.Rd8+ Kf7 39.Nd6+, Black resigns. 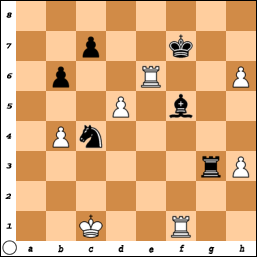 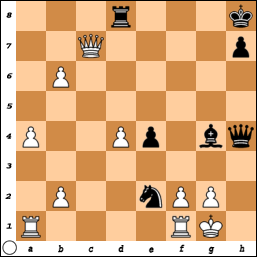 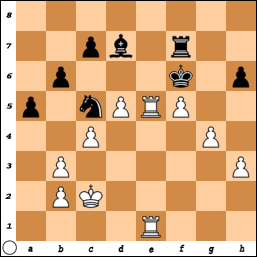 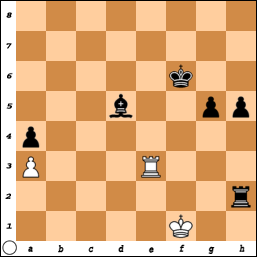 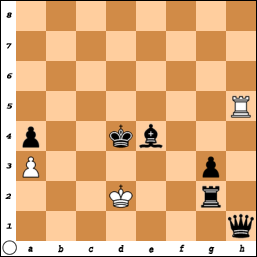 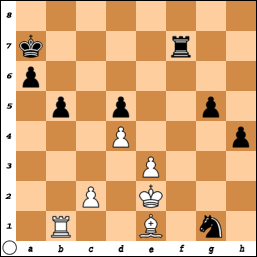 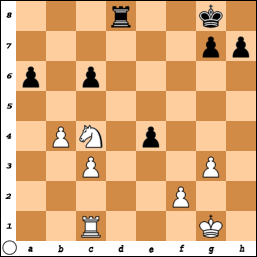 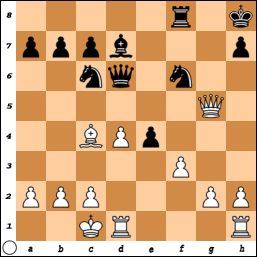 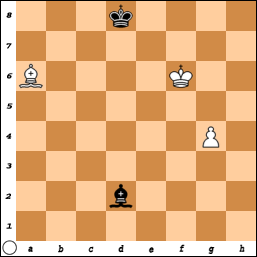 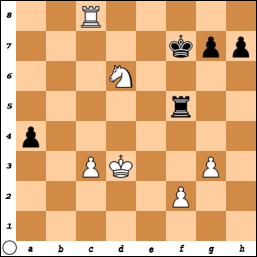 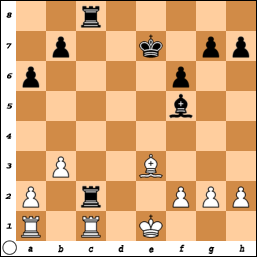 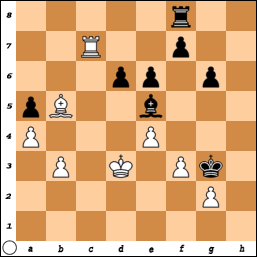 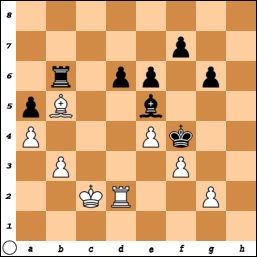 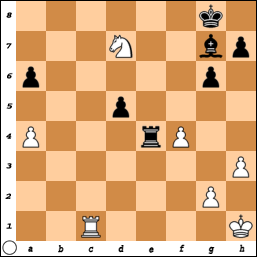 52.Nc4+ Kd5 53.Kd3 Kc5 54.Nd2 Kd5 55.Nf3 a5 56.Nxg5 a4 57.Nf3, Black resigns. 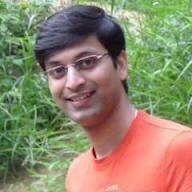 Asim Pereira [pictured] has released a new Android app for correspondence chess. 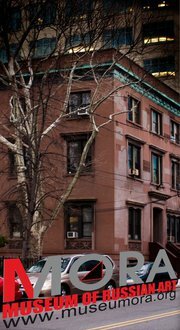 The app is free and shows ads under the board. 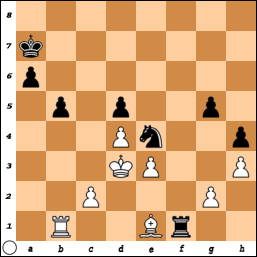 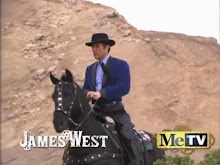 Weiss - West @ "Contre Gambit Philidor"
At Contre Gambit Philidor. 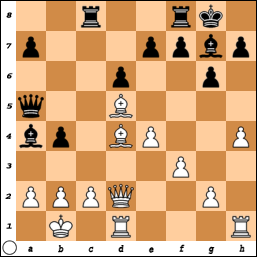 Frederic Fournier analyzes my game as Black against Howard Weiss. 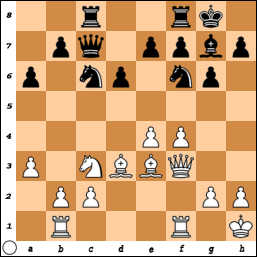 Candidate master Lev Zilbermintz sends this game from Saturday's tournament at Chess Mates. 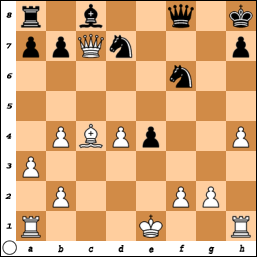 18.O-O Nb6 19.Ba2 Bg4 20.Qxb7 Qh6 21.a4 Rd8 22.Qxa7 Nbd5 23.Bxd5 Nxd5 24.b5 Qxh4 25.b6 Nf4 26.Qc7 Ne2#. 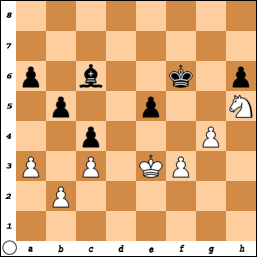 On Monday evening, this game was played at the Marshall Chess Club. 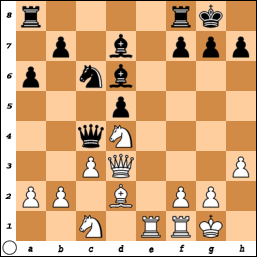 38.Bxd5+ Kxf6 39.Bxc6 Bd2 40.b5 Bxc3 41.b6 Bxd4 42.b7 Be5 43.g4 g5 44.Kf3 Ke7 45.Ke4 Bf4 46.Kf5 Kd8 47.b8=Q+ Bxb8 48.Kxg5 a6 49.Bb7 Bc7 50.Bxa6 Bxa5 51.Kf6 Bd2, draw. 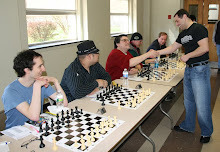 On Sunday, I played my favorite defenses in the tournament at the Marshall Chess Club. 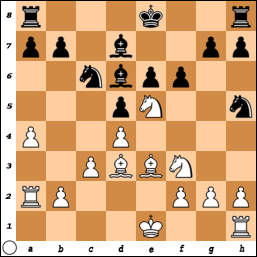 36.f3 e2 37.Kd2 e1=Q+ 38.Kxe1 Kc3 39.b4 axb4 40.axb4 Kxb4 41.Kd2 Kc4 42.Kc2 Kd4 43.Kd2 Kc4 44.Kc2 Kb4 45.Kb2 Ka4 46.Ka2, draw. 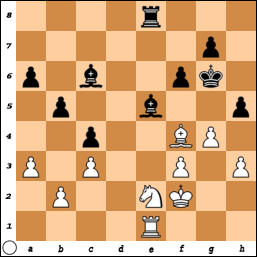 53.Kg1 Rg2+ 54.Kf1 h4 55.Ke1 g4 56.Rd3 Ke5 57.Re3+ Be4 58.Kf1 h3 59.Rc3 h2 60.Rc5+ Kd4 61.Rh5 Rg1+ 62.Kf2 g3+ 63.Ke2 h1=Q 64.Kd2 Rg2#. 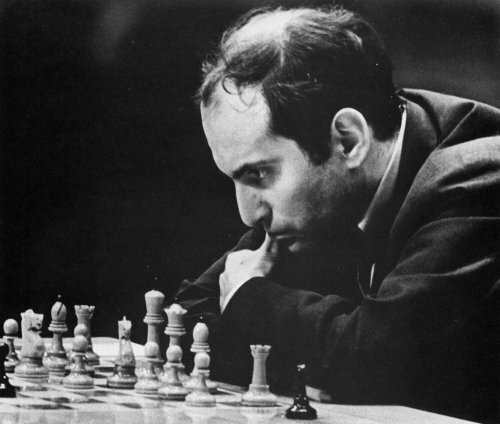 The Marshall Chess Club presents a new lecture series in honor of the late FM Erez Klein. 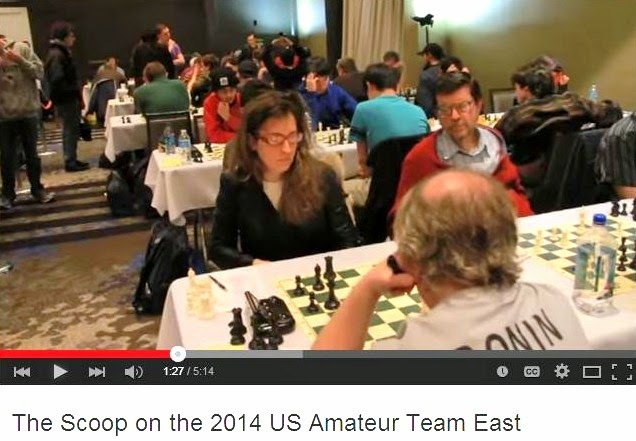 FIDE international master Yaacov Norowitz is one of New York’s most sought after chess coaches. 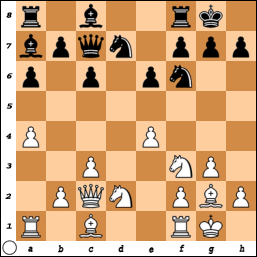 His highly original lectures will make you think about chess in an entirely new way. 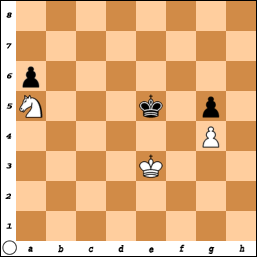 In his third lecture at the Marshall Chess Club, Yaacov will use architectural concepts and vocabulary to expand on the development of a harmonious position and a sound game plan. 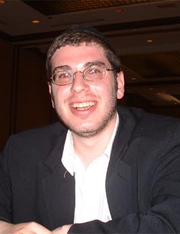 The success of Yaacov’s approach to chess is evidenced in his own rapid improvement as a top level tournament player with a current USCF rating of 2614. Please join us at the club for what is certain to be an interesting lecture by an accomplished player. 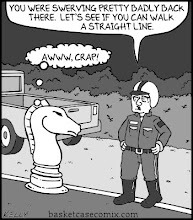 This lecture is free, made possible by a generous donation from Marshall Chess Club member Jeremy Graham. 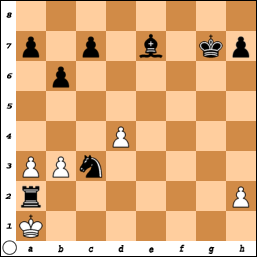 On Saturday, I had two draws in the game/45 tournament at Chess Mates. 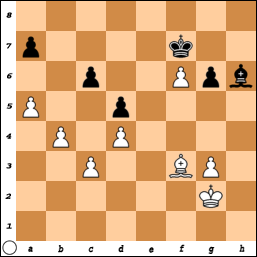 34.Kd3 Rb8 35.Rc2 Kg3 36.Rc7 Rf8 37.Rc2 Rd8 38.Rc7 Rf8, draw. 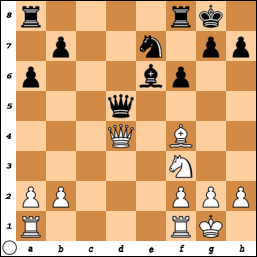 32.Bxe5 fxe5 33.Rd1 Re6 34.Ng3 hxg4 35.hxg4 Kg5 36.Rh1 Rh6 37.Rxh6 gxh6 38.Ke3 Kf6 39.Nh5+ Kg5 40.Ng3 Kf6 41.Nh5+ Kg5 42.Ng7 Kf6 43.Nh5+, draw. 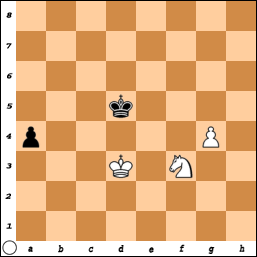 The movie Mikhail Tal, featuring Charlotte Gainsbourg as Tal's wife Angelina, is likely to be filmed and released by the end of 2014. 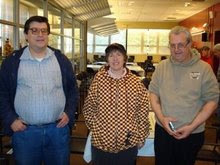 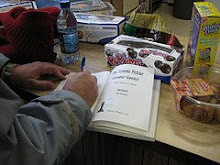 These pictures were taken by me on Tuesday, at the Marshall Chess Club. 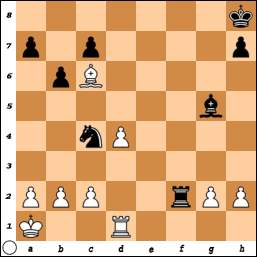 At Contre Gambit Philidor, Frederic Fournier analyzes victories by Lev Zilbermintz [pictured] as Black against Taran Idnani and Howard Weiss, in last Saturday's tournament at Chess Mates. 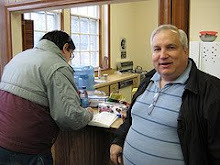 During Saturday's game/45 tournament at Chess Mates, I took these pictures. 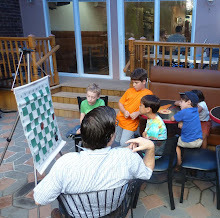 On Tuesday evening, I drew this game in the tournament at the Marshall Chess Club. 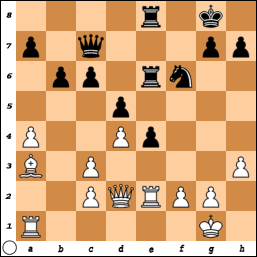 15.Bd6 Rfd8 16.Bxe7 Qxd4 17.Nxd4 Rxd4 18.b3 Kf7 19.Bc5 Rd2 20.Be3 Rc2 21.Rfc1 Rac8 22.Kf1 Ke7 23.Ke1 Bf5, draw. 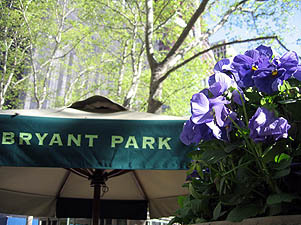 On Sunday, July 21st, the Tri-State Chess Championship III will take place alongside the Fountain Plaza at Bryant Park. 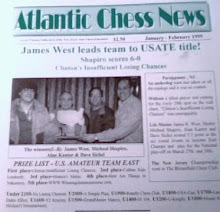 On July 17th at 5pm, I am scheduled to coach a chess class for 101 Discoveries, at the Museum of Russian Art in Jersey City. 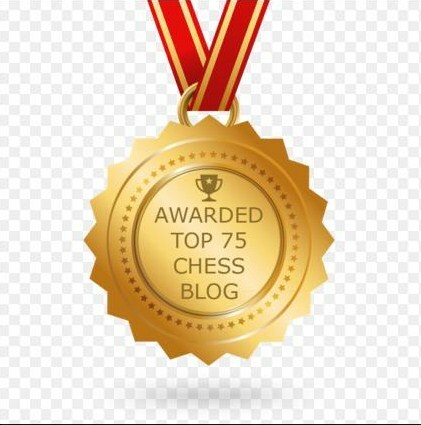 Yesterday was a good day for the PCG in the game/45 tournament at Chess Mates. 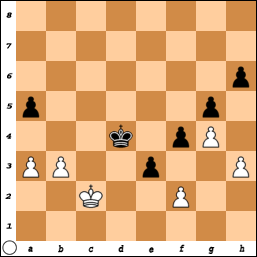 44.Ra1 Rg1 45.Bc3 Rxg2 46.Rf1 Rf2 47.Rg1 Rf3 48.Ba5 Rf7 49.Rb1 Nf2+ 50.Ke2 Nxh3 51.Be1 Ng1+, White resigns. 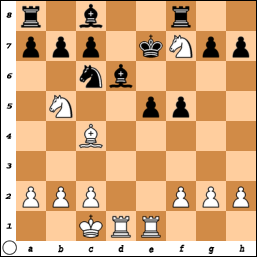 30.Bd5 Ne3 31.Rg1 Nxd5 32.Kb1 Ne3 33.c3 Rxg2 34.Rh1 Nc4 35.b3 Na3+ 36.Ka1 Nb5 37.Re1 Nxc3 38.Re8+ Kg7 39.Re7+ Bxe7 40.a3 Ra2#. 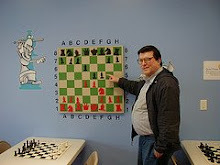 Pictured is the game between Howard Weiss and Lev Zilbermintz. 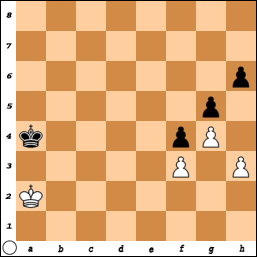 Howard may be the first player in chess history to lose twice to the PCG, in a rated over-the-board tournament, on the same day! Lev's scoresheet is inaccurate. 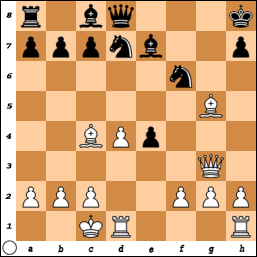 I have tried my best to reconstruct it. 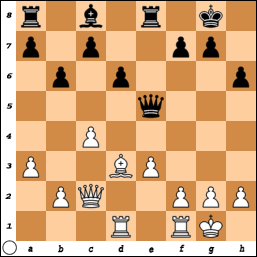 36.R5e3 Rg7 37.Re5 Nb7 38.Kc3 Nc5 39.R5e3 Nb7 40.b4 axb4+ 41.Kxb4 Nc5 42.Rd1 Nb7 43.Kc3 Rg8 44.Rde1 Rg7 45.b4 h5 46.gxh5 Bxf5 47.Rf1 Nd6 48.Re6+ Kf7 49.h6 Rg3+ 50.Kd2 Nxc4+ 51.Kc1, White forfeits. 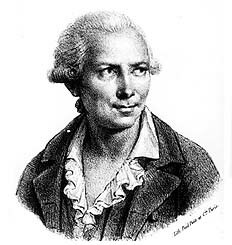 "NY Times" Review of "Computer Chess"
Hueckel - West @ "Contre Gambit Philidor"